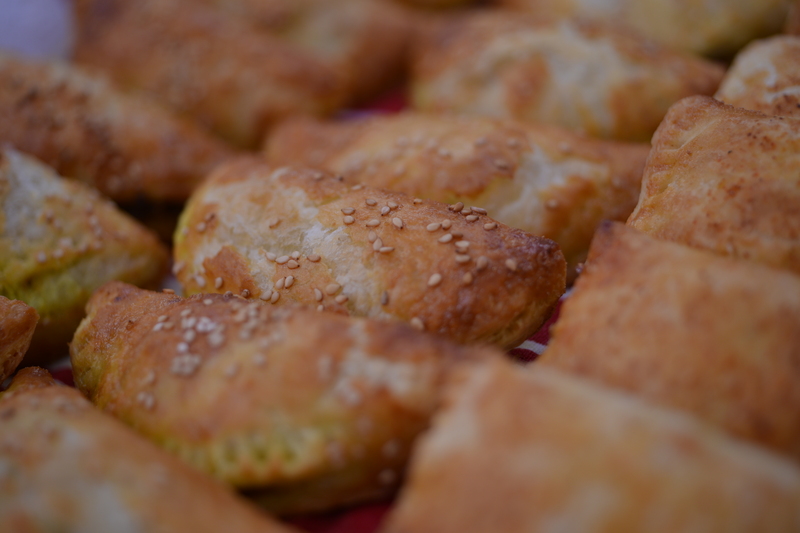 Stephanie Chen is infusing an Asian accent to her "Beef Curry Chinese Hand Pies" that will be stuffed with soy-spiked beef curry for that signature flavor. The key ingredient is definitely the spices of the curry powder. She describes this dish as "something you would see in a "Chinese Dim Sum." She is banking on her pastries surviving the threat of being over cooked. The preparations for this dish does require a high level of astuteness and precision. The judges can tell that she is nervous and when they ask she confirms that she is concerned about the allowance of time. Tune into the full episode of "Finals Week" from The Great American Baking Show Season 2 Episode 8 and watch how she rises to the occasion. 1. Fill a measuring 1 cup with water and drop ice cubs into it and set aside. Put butter into freezer. 3. Pulse to cut the butter until mostly are sizes of peas. Start drizzling ice-cold water into the mixture slowly. Use a rubber spatula to gather the dough together. Keep mixing and may need ¼ cup more water. 1. In a large frying pan, heat vegetable oil and sauté the onions with 1 tablespoon of curry powder until the onions become translucent. 2. Add the beef, soy sauce and remaining curry powder. Cook until the beef is brown and then add salt to taste. Add MORE salt or soy sauce to ensure mixture is salty enough. 1. Preheat oven to 450°F / 232°C. Line a couple baking sheets with parchment paper. When dough is chilled, set it on a floured workspace and roll the dough out to 1/8 inch thickness. If kitchen is too hot, roll to ¼ inch thickness and place back in the freezer/fridge while you continue to cut others. 2. Cut out 3-inch circles with template. Place 1-2 tablespoons of beef filling on each circle of dough and fold the dough over (in half) to a semi-circle after applying a little milk on the edges. 3. Pinch the edges together with a fork. 4. Brush the tops with egg wash then sprinkle with white sesame seeds. Bake for 15 minutes until pastry turns golden brown.